Get the most bang for your buck with this ultimate DVD packaging solution! 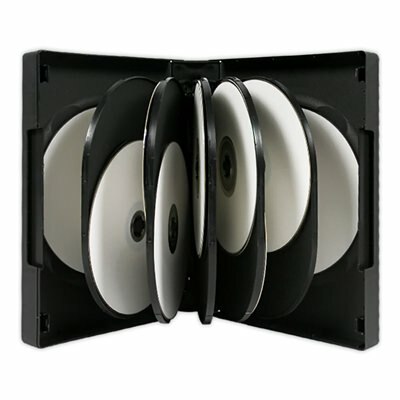 This DVD case houses up to 12 DVDs using a swing tray system that elaborately displays and holds your discs at the same time. Strong hubs hold discs securely in place while the easy to use hub makes accessing your discs a breeze. The 39mm spine makes this case convenient to store, hold, and transport. Each case has a clear overlay to protect your custom printed entrapment or inserts. Highly functional and very affordable, this case answers all your large media projects’ needs. If you have a rather large collections of discs and need some serious space saving storage, then look no further than the USDM twelve disc case! 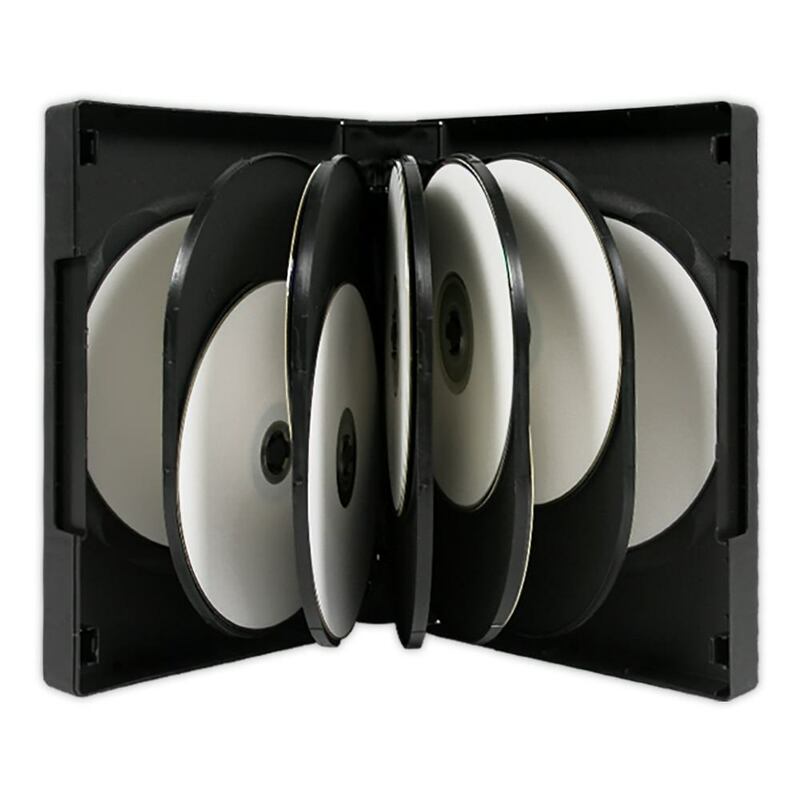 Each case holds up to 12 discs and swinging trays allow easy access to individual discs. The swinging trays may be removed if not needed. The unique design keeps each disc securely fastened; keeping them safe from damage. Standard black color. Each case includes a clear overlay on the outside for adding printable DVD case inserts from the top or bottom.